Tamil Thalaivas is the new franchises from this fifth edition of Pro Kabaddi League. While Kamal Haasan has appointed as the brand ambassador of the team. The current sensational of Tamil Nadu who involved with the issues around the state government and also who made his debut on small screen with Bigg Boss Tamil. The brand ambassador of Tamil Thalaivas, Kamal Haasan and former India cricket player Sachin Tendulkar, Telugu film star Allu Arjun and Ram Charan appeared at the Jersey launch of Tamil Thalaivas on July 20th, 2017. 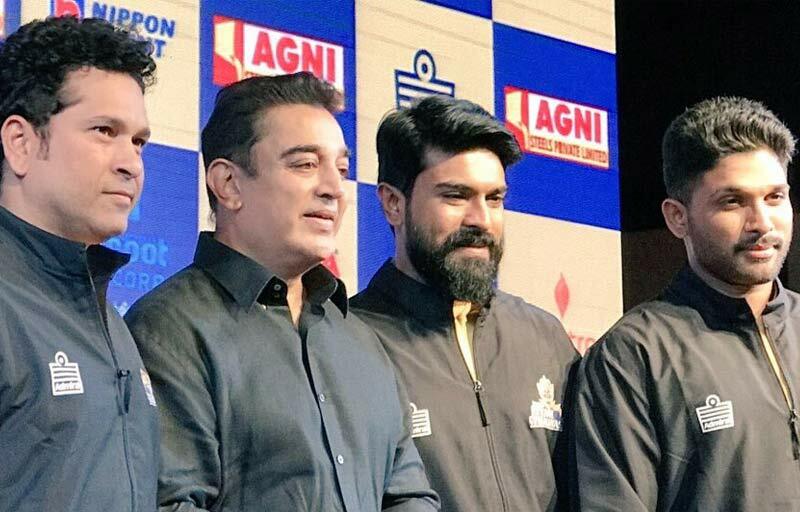 While Kamal Haasan said as becoming an official brand ambassador of Tamil Thalaivas “I’m honoured to associate myself strongly with the sport of Kabaddi. I take personal pride in highlighting the profile of a sport developed by my ancestors thousands of years ago and has now crossed our national borders. Honoured to be an ambassador for Thamizh Thalaivas. I am glad the team owners chose me. My dear Thalaivas fill your lungs with pride and cross the line to take the game across to international adulation”.